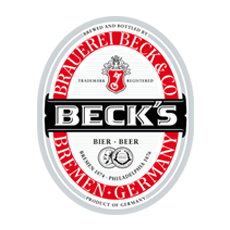 Beck's has always been brewed under the German purity law of 1516 with only four natural ingredients: barley, hopes, yeast and water. 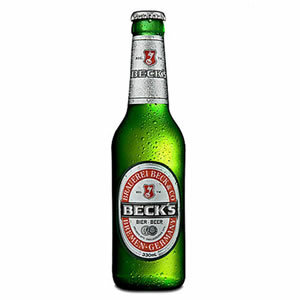 Beck's beers are perfect for office parties and functions because of their popularity and fresh, full bodied taste. 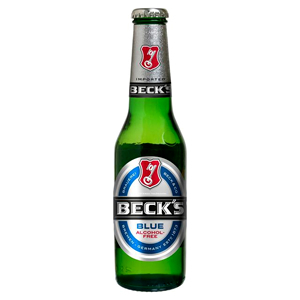 Get your Beck's from Zepbrook tomorrow: order before 5pm if you're in London (or the M25 area). Do you need bottled beers that are not currently listed on our website? Contact us - we can source and deliver many other products for a competitive price. Call us now on 020 8752 0110 or enquire online. This German lager beer has a distinctive full-bodied taste, fresh "hoppy" bouquet, golden color and full rich head. Adding to its complexity is a slightly fruity but firm crispness and a dry, clean finish.